There were a great many things Own wanted to be when she was young: a news reporter, film editor, a poet, and even a Power Ranger, the green one! No one in Own’s immediate family had gone to college; so, when Own was in her senior year of high school, she did not apply to a single university. With no direction and a delusional trust in the power of one’s first love, Own followed her high school sweetheart into the United States Navy. Unfortunately for her, Disney’s happily ever after storybook ending did not occur. Instead, she spent the next four years of her life traveling the world and discovering who she really is. With her shy and introverted personality, Own wanted to pass through boot camp without being noticed. However, due to her high test scores and stellar ability to take and obey orders, Own was unable to avoid leadership responsibilities like she wanted to. She was promoted after her first exam, from the “Dirty Dozen” (the 12 people who would clean the bathroom after everyone has showered) to Section Leader, overseeing a group of ladies in her division. A couple of weeks after arriving to her duty station aboard the USS Bonhomme Richard in San Diego, California, she was selected to become the next Damage Control Petty Officer of her division. This hand of favor continued to follow Own throughout her entire military career, earning her many awards and ship-wide recognition. Own’s love of storytelling and the church led her to pursue Cinema & Media Arts and Christian Ministry at Biola University in La Mirada, California in 2009. She worked on multiple film projects during her time at school. Her favorite ones include Jubilee Project’s “Prodigal” and Trip Lee’s “Fallin’ ” music video. It was during her senior year of college that Own realized she preferred to work on small-scale independent projects and decided to put her Hollywood dreams on hold. Since Hollywood was no longer calling her, Own packed her bags after graduation and went to Iasi, Romania to assist a local team of Romanians in planting a church. The eight months that followed were some of the most challenging and most rewarding times of her life. Harmony Church is now thriving and making a huge impact in the city of Iasi, opening their own cafe, employing the college students in their congregation, and loving on the homeless in their community. To be a part of the beginning of something great like Harmony Church has been such a humbling experience for Own. 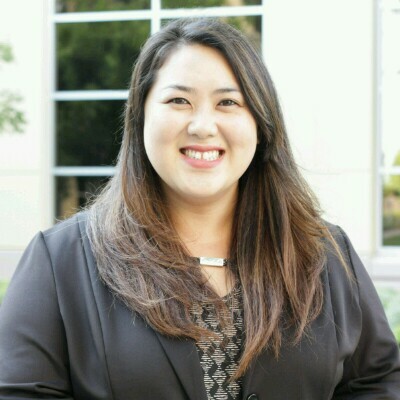 When Own returned to the US, she worked her way up the corporate ladder and eventually became the HR Manager at a mid-sized educational company in southern California. Though Own enjoyed working in the HR department, she realized that the road she was traveling on was not the direction she wanted to go in life. With that conviction, she began looking for employment elsewhere. It just so happened that at the same time Avodah Law Group was also looking for an office administrator. After hearing Avodah Law Group’s vision, Own felt that she was supposed to be a part of Avodah Law Group’s story. Own made the decision to leave her position as HR Manager and joined Avodah Law Group as the Office Manager in March 2017. She finds much joy in helping others discover themselves and their passions, especially now that she is rediscovering her own. Every life is and has a different story and Own loves herself a good story, especially if she can be a part of it.